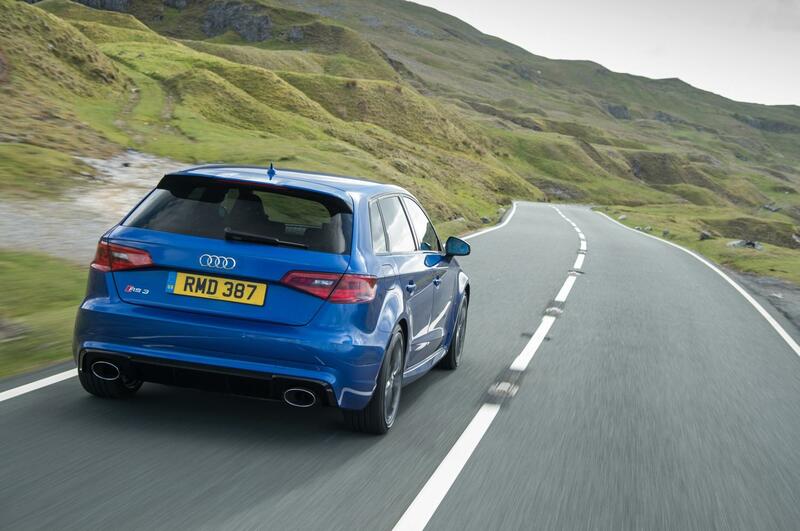 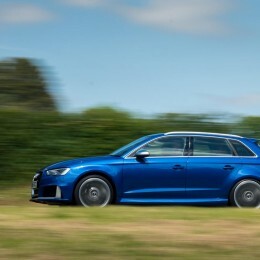 Additional Info: Much upgraded chassis and suspension over the standard A3 gives great handling and traction. 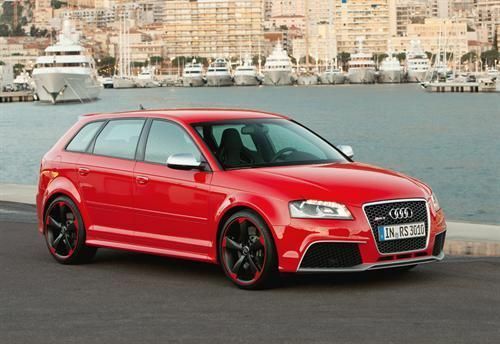 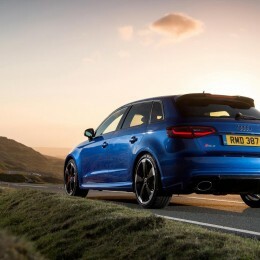 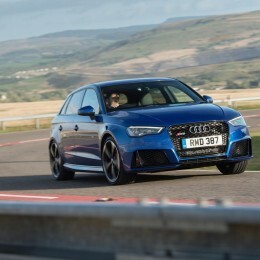 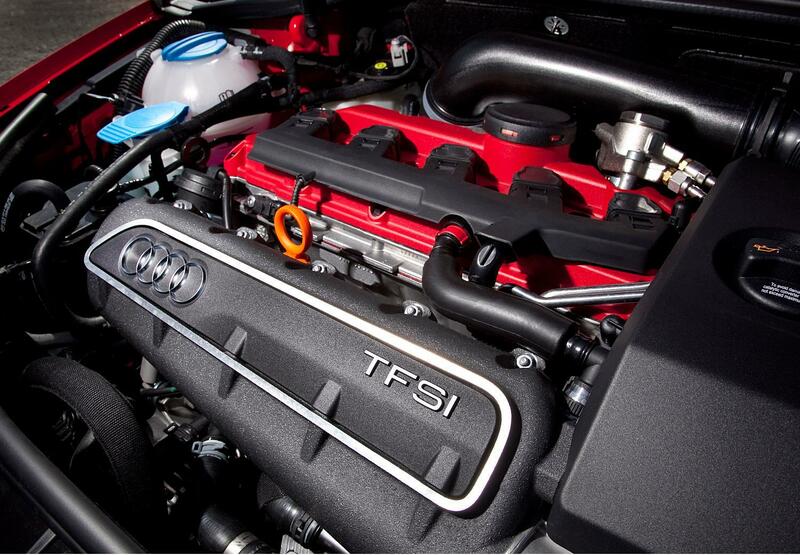 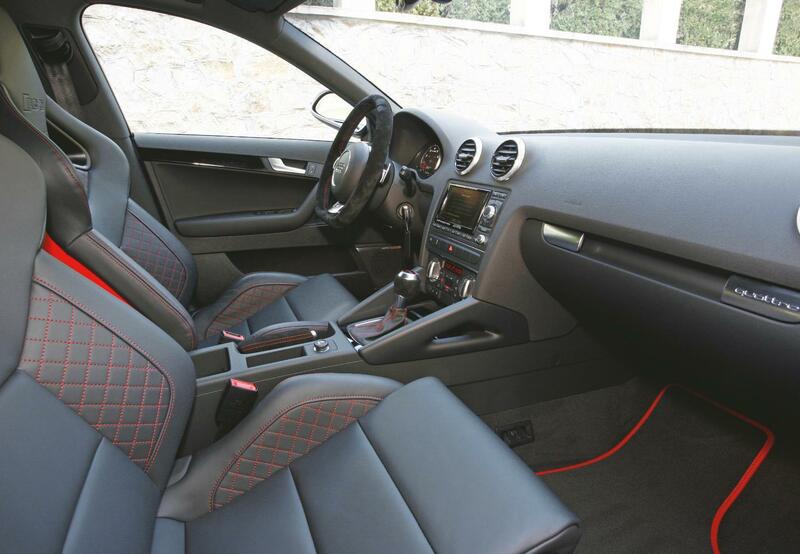 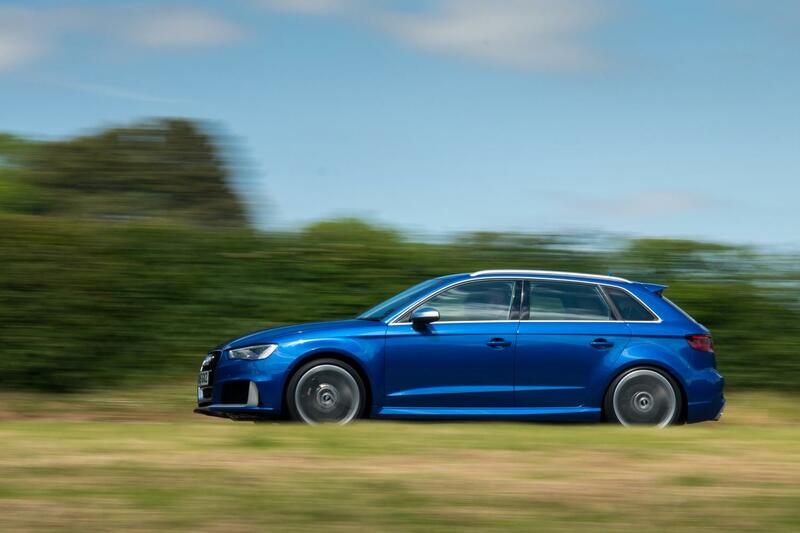 With only 500 RS3 Sportbacks for the UK (all sold), there is also the cheaper alternative of the 3.2 V6 Quattro with 246bhp and a 0-60 time of 6.2 secs or even the 261bhp S3 with 0-60 in 5.6 secs. 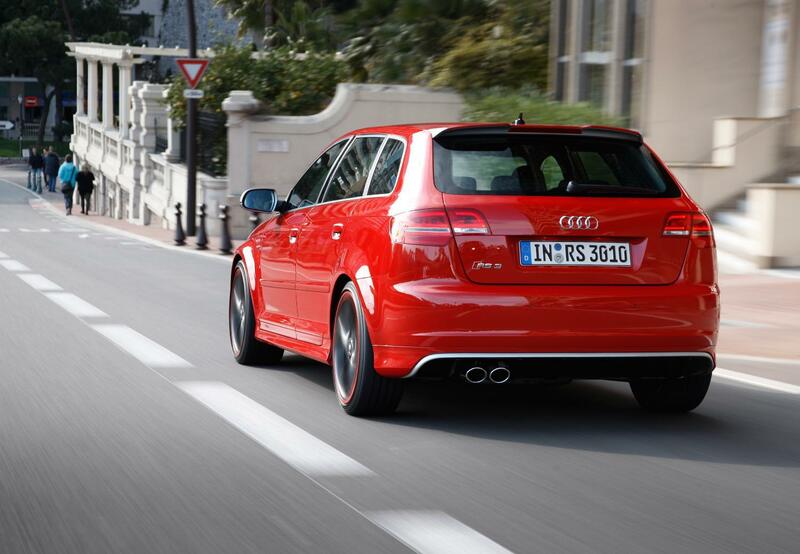 Additional Info: More performance and more economy. 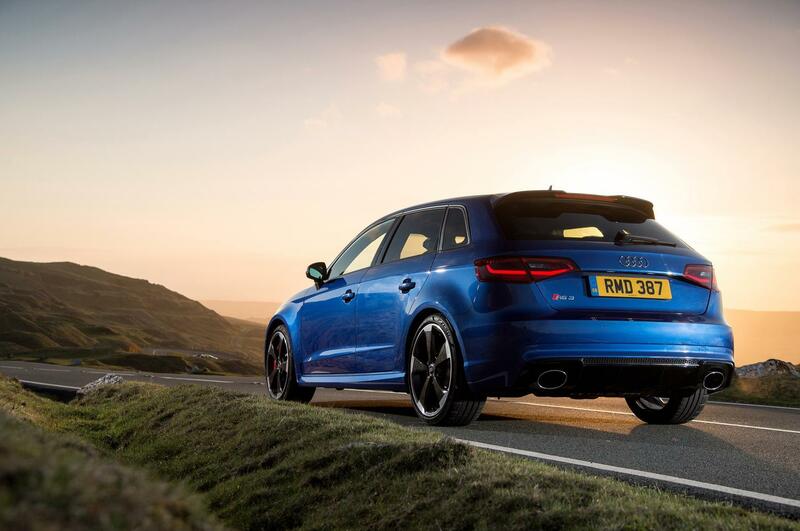 Has 2 exhaust flaps that allow the driver to control the exhaust flow to provide for an even more intensive sound experience that varies with engine load and speed. 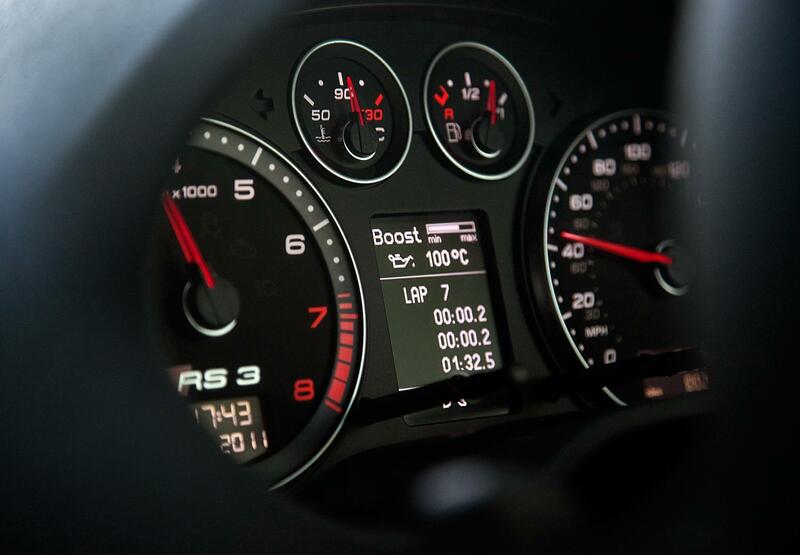 Unlimited top speed can be increased to 174mph. 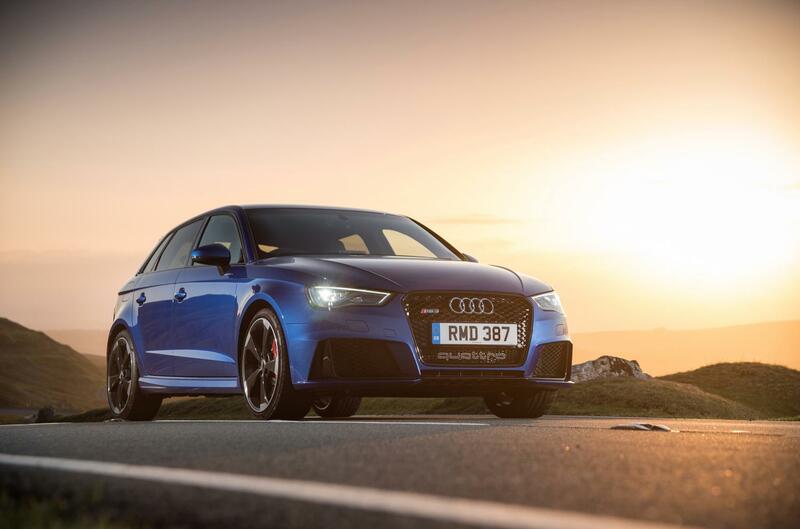 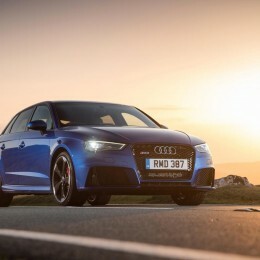 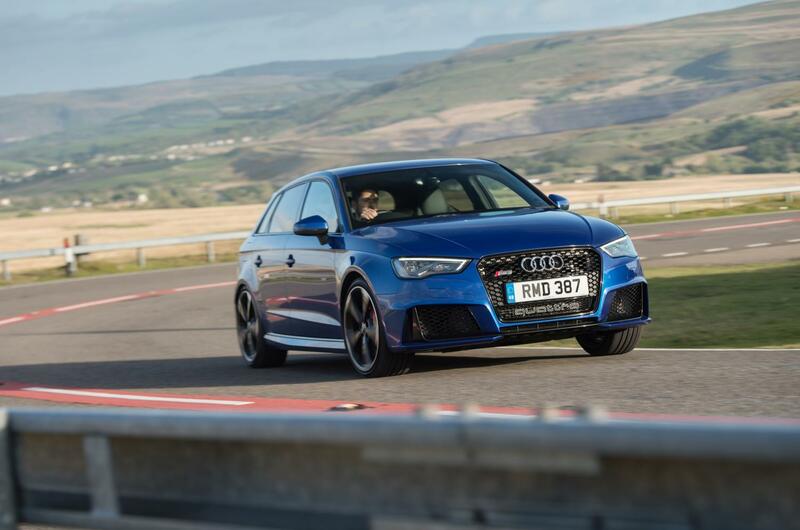 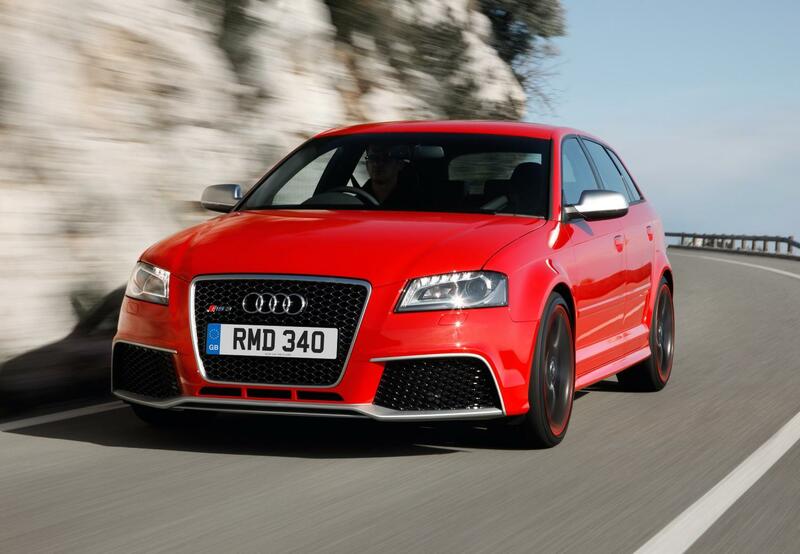 2017 sees the RS3 Saloon released with 394bhp and 0-60 in 4 seconds – read more here and as the Sportback – read more here.